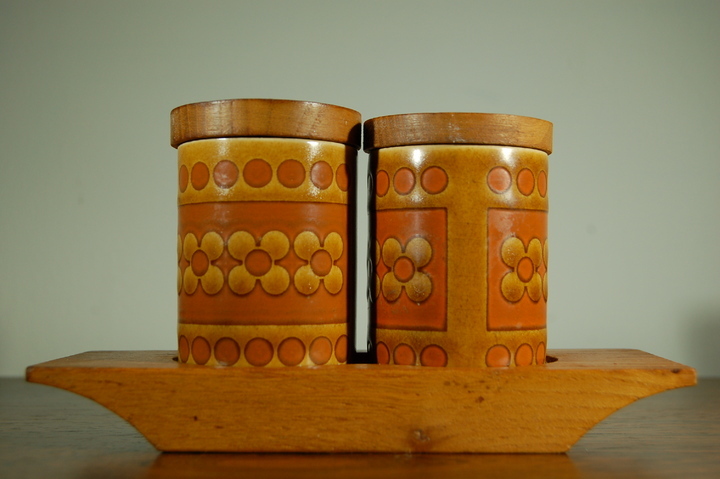 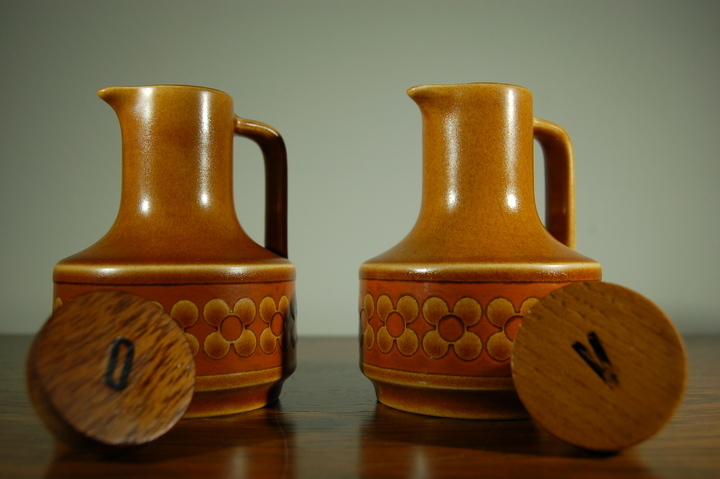 Popular Hornsea range, but rare set from 1974. 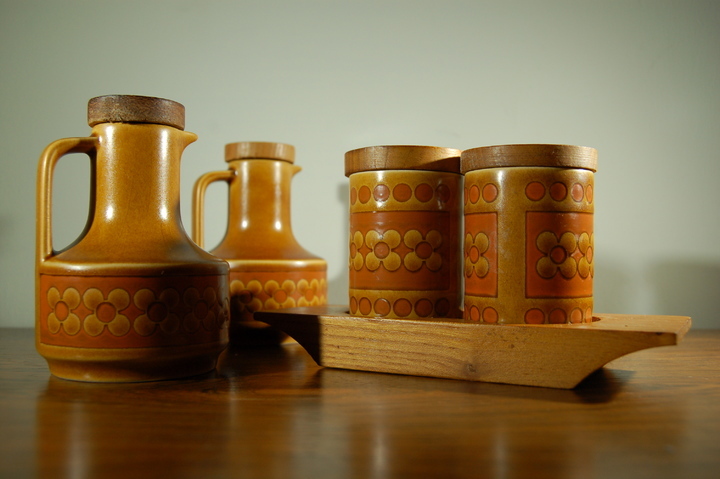 The pots all have wooden lids which match the tray. 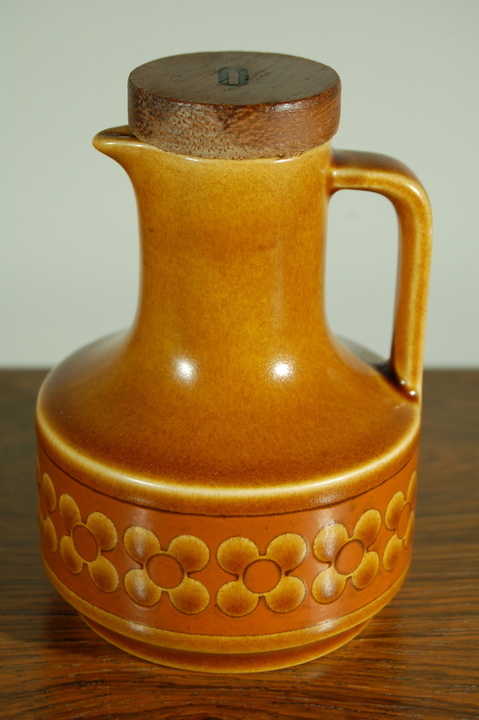 Great functional table decorative item.